Plumbing is a system in which pipes, valves and water related items are installed and used for daily purpose or industrial purpose. Plumbers work in all types of infrastructures like houses, apartments, restaurants, hotels, pubs, airports, trains, schools, factories, hospitals, ships, Etc. We need a lot of water in our daily lives and so where there is water there should be a good plumbing facility. For example, people are more concerned about water facility. So, where ever there is need for water we need plumber there. 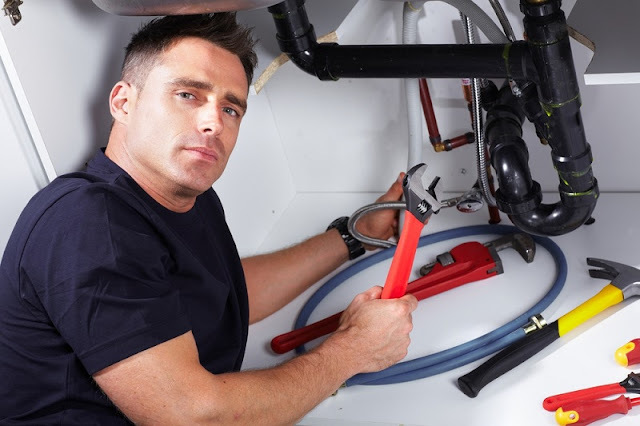 The plumber should have some essential qualities in order to do plumbing. He is responsible for everything in that channel. Like, he should install the pipes without any damage and leaks. Moreover, he should maintain and repair when necessary. There is major scope for plumbers in boiling systems. Generally, boiler used to break because of high temperatures. It’s a plumber’s responsibility to bring them back to normal position. So, a plumber needs to be qualified and should have some inbuilt qualities to rectify a channel. Here are some essential tips to a plumber. 1. Check for leakages:1. Check for leakages: The main work of plumber is to see for any pipe leakages and repair them as soon as possible. 2. Water pressure maintenance: The household appliances should be pressurized equally to avoid too slow or too fast running of water. 3. Check for water geyser: Generally, water geysers are spoiled due to rust and corrosion. So, they should be thoroughly monitored. 4. Check for gas leakages: Plumber should be aware of gas leakage techniques. He should sprinkle some soap water on gas container to find leakages if any. 5. Eveready: He should be available 24X7 in any emergency. The above mentioned tips are not only for plumbers but also for an individual to act wise during a problem. By following these steps, they can reduce the risk of accident to major extent. In the same way, there are some essential qualities for a plumber to be professional. Those are discussed below. 1. License holder: A plumber should be a license holder. This helps him to get better opportunities in any sector or infrastructure. 2. Expertise: In order to withstand in competition he should have better skills when they are experienced to the other plumbers. So, experience matters. 3. Honesty: A plumber should attend to an organization with respective tools and kit along with his uniform attire. He should be dedicated to work. 4. Reputation: Plumber should have good name in local communities for his work. So, his services should satisfy customers. 5. Punctual: A plumber should be punctual in time management. He should be on time to work for attaining a good name in communities. 6. Respect customer: Plumber should respect the customer by entering his home with his working boots leaving the normal boots outside. 7. Should be fully equipped: He should come to work with fully equipped stuff and tool kit. That means he should be ever ready for work. 8. Generous: He should be good with the customer and their conversation should be in a professional and friendly way. Finally, the customer should be satisfied with his work. So, wherever there is water resource there will be chance for existence of a plumber. So the above mentioned steps and tricks should be followed by a plumber to be a professional one. In order to maintain his reputation good in local communities, he should be aware of every aspect regarding plumping world. He should solve any problem relevant to plumbing. He should be punctual, caring, smart, generous, and honest towards customer. So that he will gain good will from other customers too. What Can a Concrete Contractor Do at Your Home or Business?